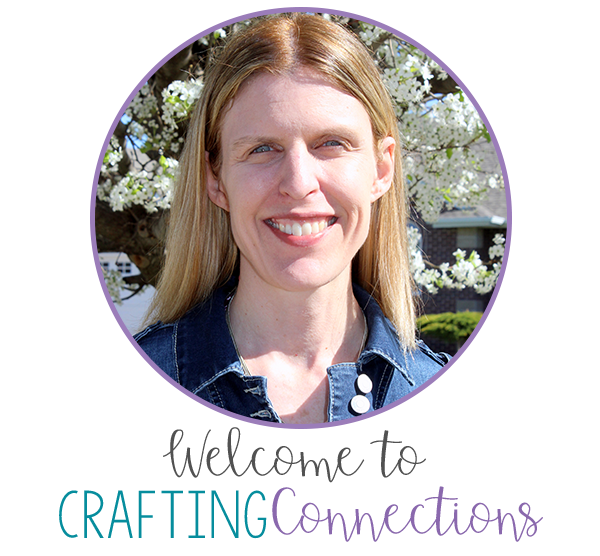 Have you ever tried to create something for your classroom that didn't quite turn out as you had hoped it would? That's exactly what happened to me on Monday. Several months ago, a teacher contacted me and asked me to consider writing partner plays for middle school students. 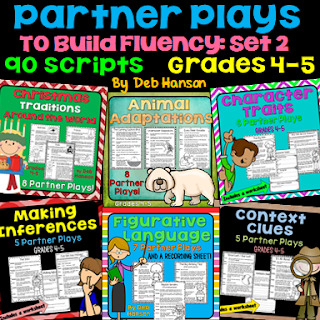 I thought it was a wonderful idea, as I really enjoyed writing my partner plays for students in grades 2-5! However, I still had a perfectly usable partner play staring at me from my computer laptop. 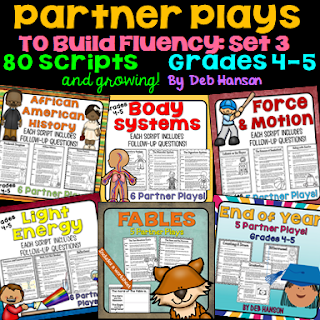 Rather than toss it into the recycling bin, I decided to make it a freebie for those of you who might want to try out a partner play with your students. Since it has some advanced vocabulary words (enervated, hassock, etc. 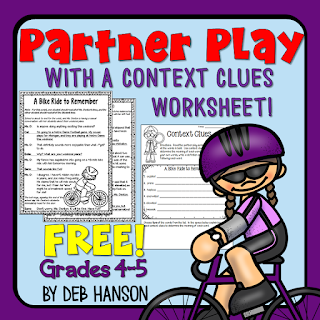 ), I decided to add a context clue worksheet to accompany the partner play. Feel free to download it and use it with your students! It includes a 2-page script and a context clues worksheet! 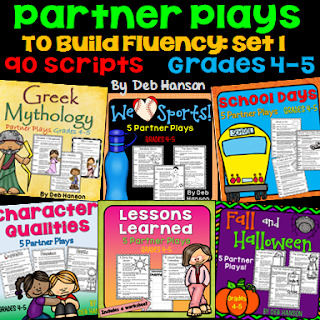 I have over 60 sets of partner plays in my store, some for grades 2-3, and some designed for students in grades 4-5. 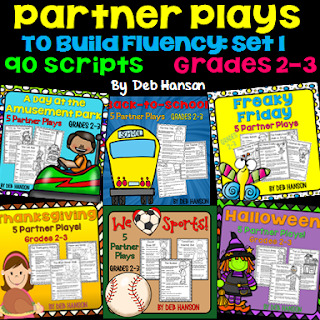 If you like this set, download my other free scripts, and check out my other partner play sets! Nice freebie! Thanks for sharing. I can't imagine trying to tackle something like this for Middle School, so kudos to you for trying it out!